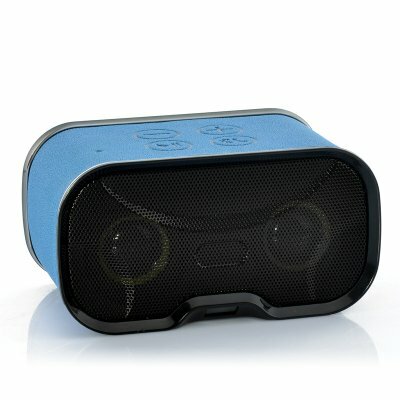 Successfully Added NFC Bluetooth Speaker "Soundwave" - Built in Microphone, 2x 3 Watt to your Shopping Cart. 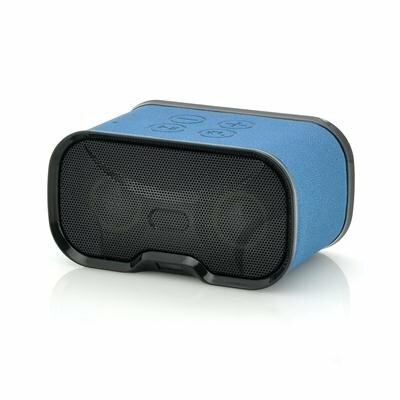 NFC Bluetooth Wireless Speakers that connect over NFC direct to your smartphone for a fast and cool way to instantly get your music playing. Cut back those cords, it’s time to listen to your music wirelessly! Introducing the “Soundwave”, Chinavasion’s first NFC equipped portable speaker. Using Near Field Communication, connecting a NFC enabled phone to the “Soundwave” couldn’t be easier. With a simple tap against the speaker, both devices will automatically pair and blast out your favorite tunes. And don’t worry if you don’t have any devices packing NFC, you’ll still be able to connect to the speaker using Bluetooth! Coming with a built in microphone, answering phone calls over the speaker is now possible, which makes the “Soundwave” perfect for conference calls and hands free calling. But best of all is the wireless speaker’s built in battery. Rated at 1150mAh, the “Soundwave” packs enough juice for up to 10 hours of music playback and you won’t be bothered by annoying charging cables. Unlike most traditional speakers, the “Soundwave” works with any device with Bluetooth, NFC or a 3.5 mm headphone jack. This means you’ll now be able to truly enjoy those thousands of tunes you’ve got stored on your laptop, your tablet and your mobile phone. What’s more, if you’re hanging out in the park or partying with friends, it will work with their devices as well. In stock now, this NFC wireless Speaker can be shipped out to you or your customer within 24 hours and comes with a 12 month warranty. Brought to you by the leader in wholesale phone accessories, Chinavasion. Use Bluetooth to connect to the speaker for the first time in order for the speakers to work. After this, connect using NFC. NFC is used to automatically establish a Bluetooth connection from your device to the speaker and all data will be transferred over Bluetooth. To connect via NFC, the NFC enabled phone must be held on the right side of the speaker.